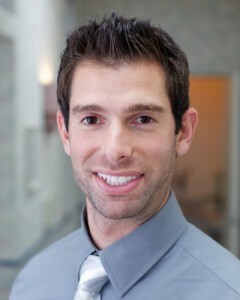 Dr. Aaron Schwartzman brings with him an expertise in aesthetic, implant and reconstructive dentistry. He received his Bachelor of Science in Paleobiology from the University of California Los Angeles and his Doctorate of Dental Surgery from the New York University College of Dentistry. Dr. Schwartzman chose to specialize in Prosthodontics, the cosmetic restoration and replacement of teeth, and attended the Post Graduate prosthodontic program at New York University College of Dentistry. Dr. Schwartzman contributes to several expert groups and seminar discussions on the latest advancements in cosmetic and prosthodontic dentistry. As part of his commitment to giving back and sharing his experience, he serves as a Lecturer and Clinical Instructor at UCLA School of Dentistry Aesthetic Clinic, providing hands-on guidance to 3rd and 4th year dental students. Dentistry is only a small part of this high energy doctor’s interests. Outside of the office, Dr. Schwartzman is an avid road cyclist, tennis player, golfer, volleyball player, scuba diver and expert landscape and portrait photographer. In his spare time he plans his getaways – either to a local national park or exotic foreign destination. He is currently a member of American Dental Association, California Dental Association, American College of Prosthodontics and the Pacific Coast Society for Prosthodontics.